Black Willow Winery, a family owned boutique winery located conveniently in the heart of the Niagara Wine Trail, USA. The winery sits on 43 beautiful, country acres and has the best soil and drainage in the area suited to growing grapes. Offering distinctive, rich, artisan wines and meads for wine enthusiasts, as well as those experiencing for the first time. 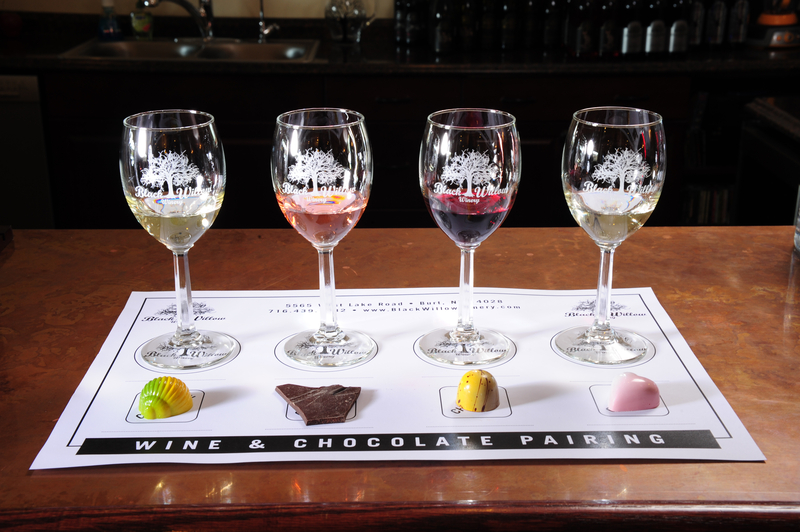 Wine and gourmet chocolate pairings are available every day. Open year-round. Tasting fees.